Home » General » New website online! A few years ago I used to have a site for all my Alfa Romeo 105 series projects: www.1750gtv.com. 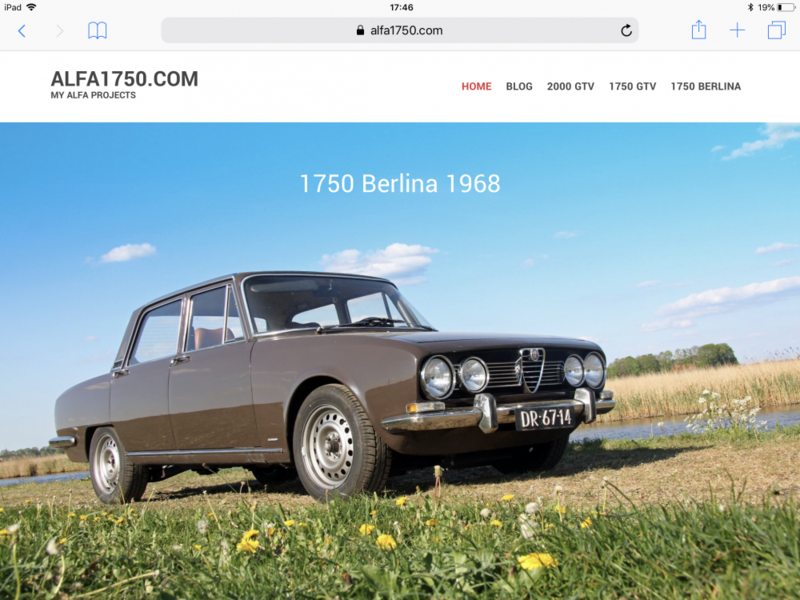 The website was visited by a lot of people interested in the full and partial restorations of my sisters 2000 GTV and my other Alfa’s: 1750 GTV, 1750 Berlina, Giulia 1300 Super and Giulia 1300 TI. The old site was very hard to fill with content, and my passion for working on my cars disappeared. I’ was taken down the website as well. But now, after several years the virus has returned and therefor I decided to create this new easy to maintain website! At this point the nuts and bolts restoration of my sisters 2000 GTV has been completely added to the sitey. The 1750 GTV part has been partially filled, but that restoration is far trom being completed at this point. I hope to get it going again soon!